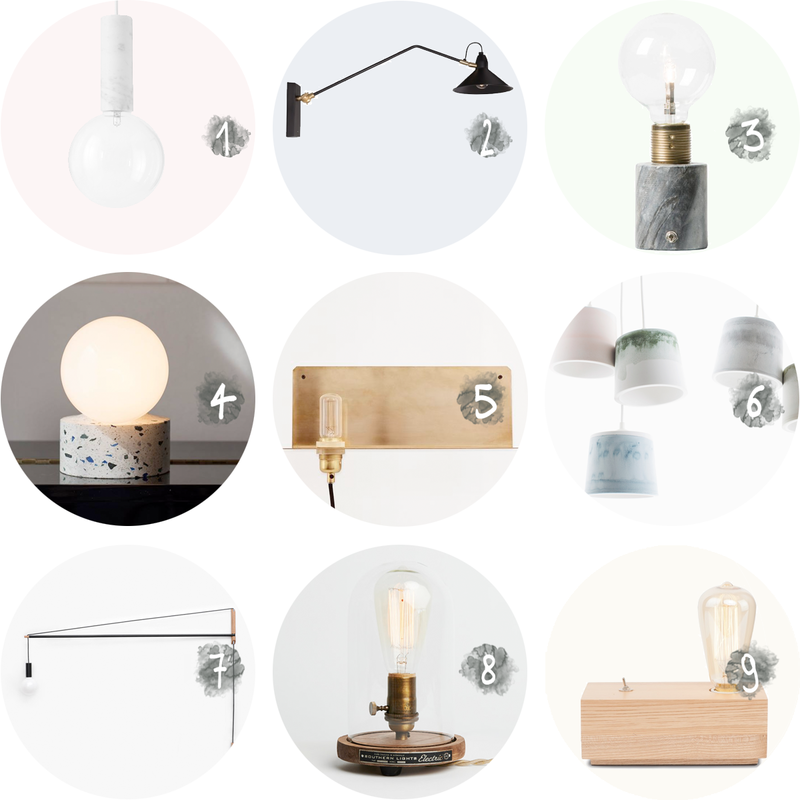 Despite – or maybe even thanks to?- the energy saving lamp, designers have been focusing their attention to the classic light bulb for a while, giving it new shapes or putting it in the spotlight with beautiful sockets. I’ve collected my favorites for you! With some help from a talented grandmother, you might be able to make your own version of this knitted lamp from byBLINE, no? If you’ve got some swedish up your sleeve (or google translate on your side) you can figure out how to DIY this golden beauty. 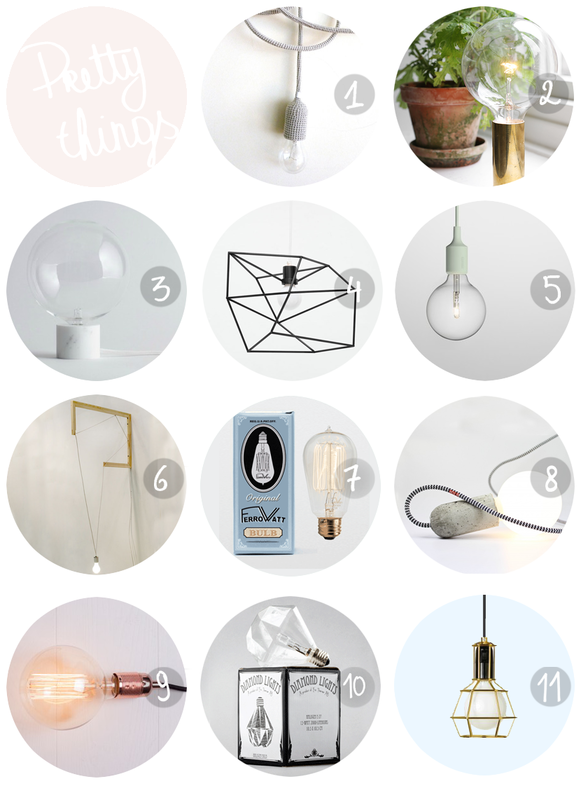 Small Spica by Iacoli & McAllister gives a beautiful light bulb all the attention it deserves. This mint version is my favorite, but Muuto’s E27 pendant lamp is available in many other colors as well. Noam Rappaport puts the light bulb in the spotlight with just some wood and plastic cables. I think I featured this one on the blog before, but Ferro Watt produces the most beautiful lightbulbs, based on Edison’s authentic design. The beautiful packaging is a bonus. Base is a design from the NUD collection, and nothing more than a lightbulb with a beautiful concrete socket and a cord that comes in 44 colors. The atelier lamp by Frama is a beautiful twist on the regular lightbulb. Available here. Eric Therner’s Diamond Light has been going around the blogosphere for a while, but I had to include this one! You can buy a similar one here.